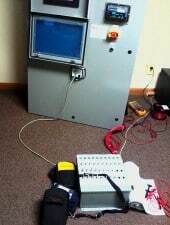 The simulator (foreground) in action — attached to a cabinet. Commissioning a new cabinet can be an involved process, requiring a technician to spend hours field-testing hundreds of connections, relays, lights, etc. ACES ensures a seamless takeoff for our cabinets with the use of a simulator — before the cabinet ever passes our shop doors. To predict what will happen in the field the simulator makes use of lights, indicators, with single and double throw toggle switches for both inputs and outputs. From something as basic as ensuring signals are being sent, to something more complex like indicating when limits are complete and all switches are in the correct position for startup. Sometimes mechanical components are in the process of being built at various locations and not available for testing with the control cabinet. This was the case for a recent steam generator customer, and there was no burner or fuel train to wire the cabinet to for testing. Everything on the simulator is clearly numbered and coded, and by swapping out labels can be easily customized for the next cabinet. 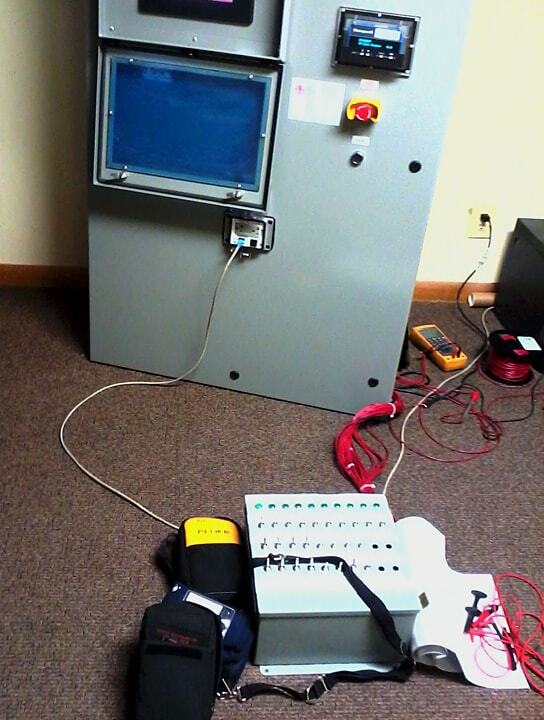 By the time a control cabinet arrives on site, ACES has already ensured that it is correctly wired and programmed, is complete and reacting as expected, and requires minimal technician field time to install. And the customer is up and running that much more quickly.